I threw away my Chinese dictionary last week. 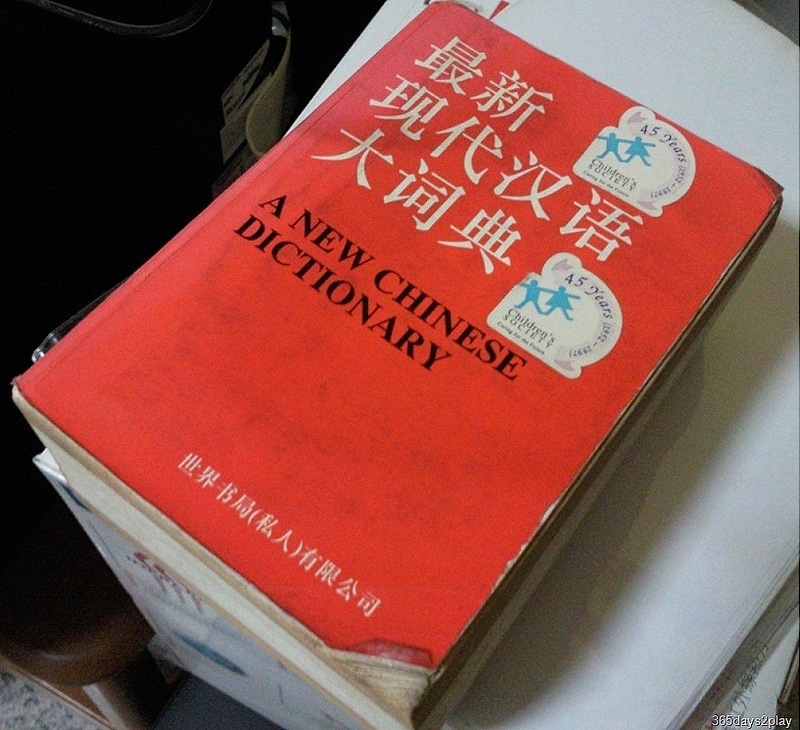 If you know me, I am a hoarder, so throwing away the Chinese dictionary was somewhat of an event. According to the decluttering rules, if you are never going to use it again, THROW IT AWAY. Given that I will never ever use the dictionary again, I should have chucked it long time ago. But there is always that “what if”. And sentimental value, although why I would have sentimental value over a Chinese dictionary, the symbol of 12 painful years of studying Chinese, is anyone’s guess. Well at least I have a picture of the dictionary even if I don’t have the physical dictionary. I think that is what I am going to do in future. I shall take pictures of all the useless things I am sentimental about. Then at least I will still be able to retain the memories without the physical blockage. I really do think that a clutter free house makes for a peaceful mind. I need to step up my efforts in decluttering the house.